Choong Mek Zhin one of The Star’s brightest prospects has a keen nose for news – that’s why she smelled us. Read about her scintillating discussion with one of my famous founding minions, LoyarBurokker Edmund Bon. LORD Bobo controls my mind, says Edmund Bon when asked about his involvement and behind-the-scene contributions to the infamous LoyarBurok website. 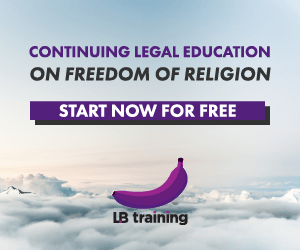 For those not in the know, LoyarBurok is a “website blawg” (as Loyarburokkers calls it) where it educates laymen on law-related issues in a fun way. The man, or rather cyberspace entity behind the website is Lord Bobo who appeared four years ago and sports a white wig commonly worn by judges and lawyers. The website’s ultimate goal is to educate the public on the justice system and its many laws. He said that articles published on the website are written by real people on real issues. “We provide back-up on legal knowledge relating to the issue that the writer wants to highlight. It is as easy as sending an email to [email protected] to get published on the site,” Bon said. Believe it or not: Bon claims to be a mind-controlled minion of Lord Bobo. There is no censorship on the site, the comments and articles are only edited for clarity. “It’ll be a lie to say the articles are entirely objective. Articles do take sides depending on the writer. We’ve already published articles on potentially explosive issues like ethnic relations, religious extremism and more,” he said. In fact, critiques on judicial conduct have been published which the judges are not too happy about, based on relayed information. Bon added that many of the writers were not lawyers and the site provides a platform for them to contribute their views. “I would definitely say the website is a success. We heard that all the local law students follow it and we receive comments from laymen whose constant questions show interest in the subject,” he said. As per Lord Bobo’s instructions, the blog is now diversifying into other medium to further educate and create awareness. “We will be coming up with a research paper to explain various human rights issues like the death penalty, freedom of expression and religion,” headded. There are also LoyarBurok merchandise to look forward to including LB Tees, car stickers and soft toys of Lord Bobo. Another out-of-the-box method to educate the public is putting up documentary style videos on its WayangLoyarBurok channel on YouTube. “We did a Lady Baba spoof series following the Hulu Selangor by-election to highlight what an election is really about and what the public should be asking and expecting from the candidates,” he shared. Bon is also actively involved in workshops through the Bar Council’s MyConstitution Campaign for youth as well as for policy makers like assemblymen, grassroots and political leaders through the IDEAS-LoyarBurok collaboration. “The current workshops are on federal and state relations. So far we have already been to Kuching, Sibu, Penang and Kedah,” he said. What others perceive as merely volunteer work is actually duty, said Bon. “When I started practising in June 1998, only about 5% of the Malaysian Bar lawyers were doing volunteer work. The figure has increased to somewhere between 8% and 10% with the arrival of young and passionate lawyers,” Bon said. He admits however that majority of new lawyers have little sense of duty and see the profession as a means to reap financial gains. “Yet, there are also a number of fresh lawyers who want to contribute positively to society. They are unhappy with the state of the country and want to do something but have no idea how to go about it,” he said. He feels that important seniors such as himself should guide young lawyers to do volunteer work and contribute back to the society actively, something his own seniors did. “In the end, whatever we do, it will be for the benefit of all including ourselves,” he concluded. LB: This article appeared in print on page 25 of Saturday Metro, 17 July 2010 and can be found on The Star Online here. Posted on 19 July 2010. You can follow any responses to this entry through the RSS 2.0. You can definitely see your enthusiasm in the work you write. The world hopes for even more passionate writers like you who aren't afraid to say how they believe. Always follow your heart. Wa lespek sama lu olang semuer. Caya lah lu!